^ Forecasters Say Snow Possible In Sacramento. capradio.org. 2011-02-24 [2012-11-16]. （原始内容存档于2017-05-25）. ^ 2.0 2.1 2.2 2.3 2.4 2.5 2.6 NowData - NOAA Online Weather Data. National Oceanic and Atmospheric Administration. [2011-12-28]. ^ WMO Climate Normals for SACRAMENTO/EXECUTIVE ARPT CA 1961–1990. National Oceanic and Atmospheric Administration. [2014-03-11]. 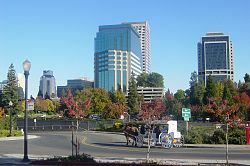 ^ SACRAMENTO 5 ESE, CALIFORNIA. Western Regional Climate Center.